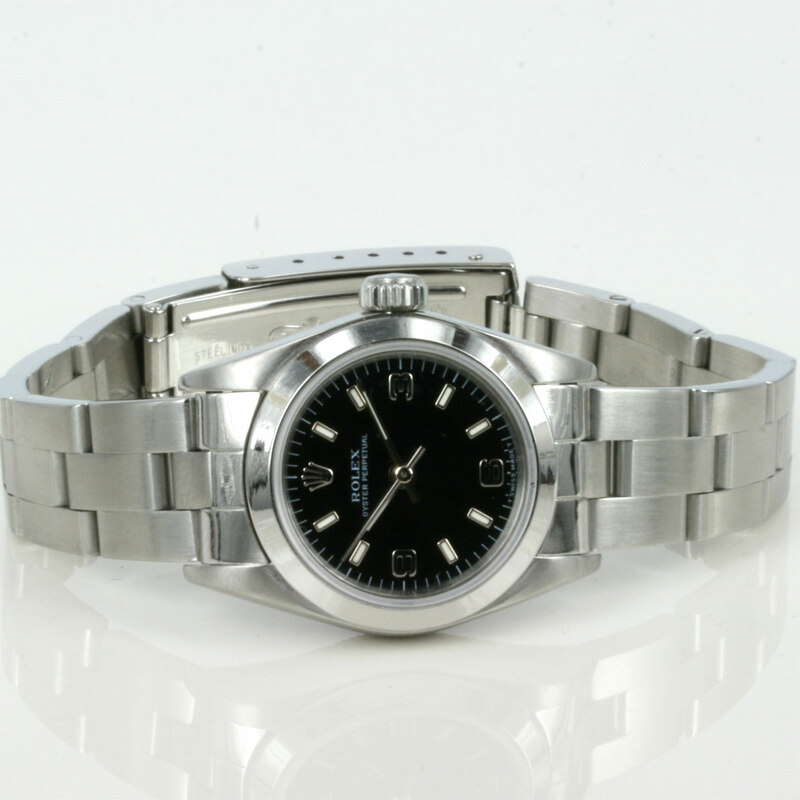 Product code: 1575 Categories: Sold Items, Sold Rolex Watches. This is a lady’s Rolex watch perfect for any occasion. The dial is surrounded by the high polished bezel, and does not have the date, making the surface very smooth and flat. 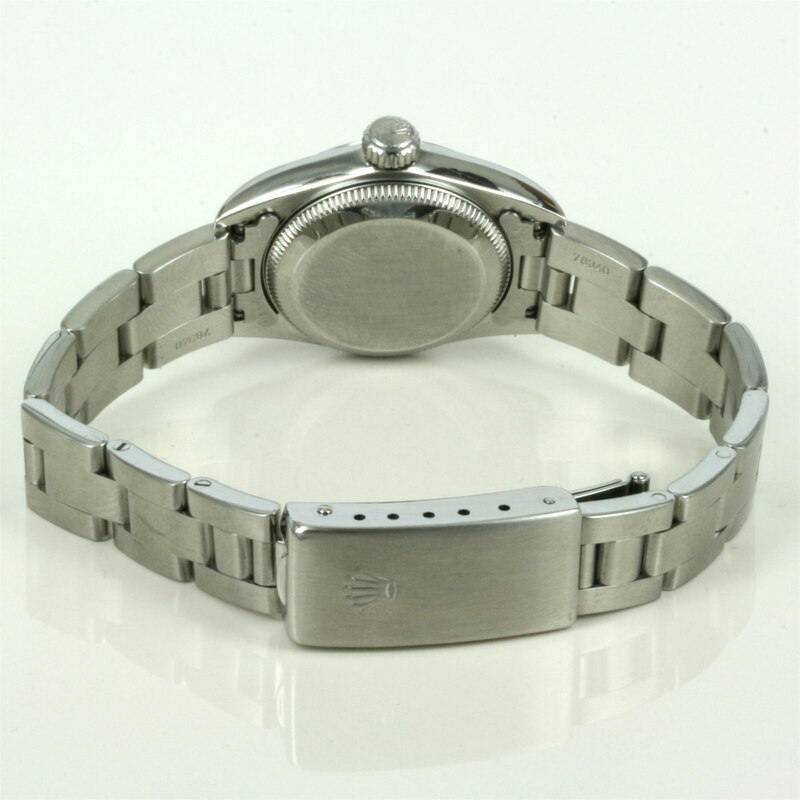 The case measures 25mm across – plus the Rolex Oyster screw down crown, and is so easy to wear.